So happy that the families are exercising their voices, and their indignation. I applaud their success in getting Mexico’s President to, for the first time ever, put his official signature on a document of this type. I pray that my adopted country (Mexico) can find its way toward equity and justice. Remember that egalitarianism is one of the core values of Blended Culture people, for precisely this reason. Every life is valuable, we all have contributions to share, without each of them the puzzle will not fit together. Intercultural competence demands we fight corruption and power imbalances. I seldom translate news articles any more not only because I have too much to do, but because Mexico Voices more often than not picks up the same stories I would have translated, and generally does a much better job. And, is able to get them posted much sooner than I could. Jane Brundage translated Blanche Petrich’s report that appeared in yesterday’s Jornada on the meeting between the parents of the disappeared Ayotzinada students, the widow of the student killed (and skinned), and a few other victims of state-tolerated (or perhaps state-sanctioned) terrorism. What appears from the article is that while the adminstration attempted to spin this as an “message: we care” moment, bringing in those survivors and victims are a tougher lot than was anticipated. Venezuela: We Want to be Heard! Yesterday we received this very disturbing report, which we immediately passed on via our social media: The Game Changed in Venezuela Last Night – and the International Media Is Asleep At the Switch, by Franciso Toro. The lack of power, lack of voice, lack of justice, finally met a breaking point. People protested. And the reaction from Maduro’s government was swift and violent. Caracas, Valencia, Mérida and San Cristobál have become like war zones. 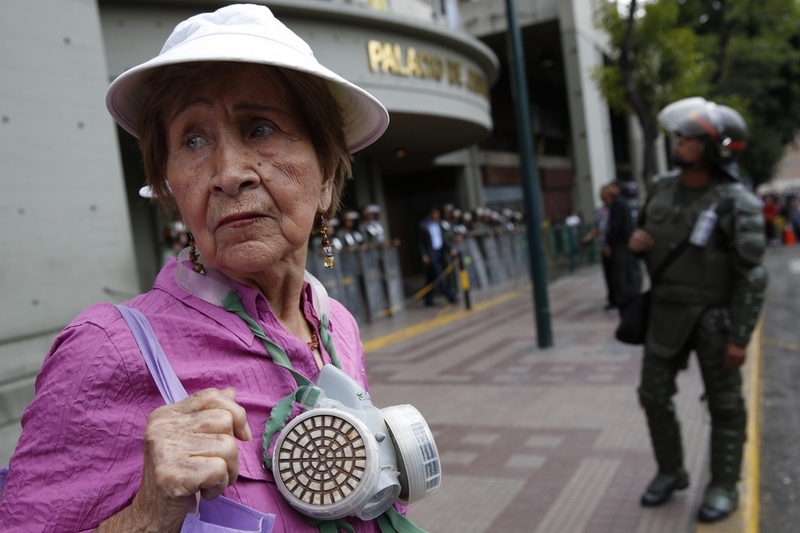 Protests began innocently enough, with traditional cacerolazos (beating of pots and pans) lead by upstanding citizens. Our friend’s sister is a choir leader at her church; she was attacked by colectivos—state-sponsored paramilitaries on motorcycles—in front of her church while beating a pan. Her glasses were stolen, her photo was taken, and she was threatened with death. Please do what you can to raise awareness and get help their way. We can transform our world. There is power in each of us, some small step we can take, towards justice and peace. Check out these additional photos.